Some people think overcharging your phone can damage your battery, while others believe it is fiction. The battery is a cell phone’s most important feature, yet few people know about its powerful role during everyday use. Batteries provide hours of reliable power for portable use, and can be recharged nearly thousands of times before its power fizzles out. When charging a cell phone battery to full capacity, it is important to understand what technology is being implemented to maximize battery life and prevent damage. 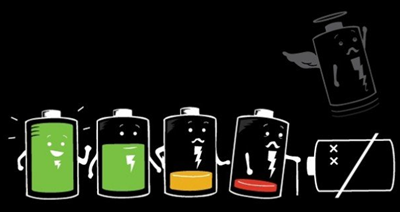 All modern cell phones use lithium-ion batteries, and unlike previous generations, these types of batteries do not like to be completely discharged. Lithium Ion batteries have a protection circuit built in that turns off the power source once a full level charge is acquired. With the newer Lithium Ion batteries, you do not have to worry about memory build-up, where it “remembers” its charge level when unplugged. Nowadays, it is not possible to overcharge a cell phone battery. However, leaving your phone plugged in for more than 24 hours can cause it to overheat. Excessive heat will accelerate the aging process drastically, which can shorten the lifespan. Therefore, it is important to unplug after long charging intervals and keep your batteries cool to ensure a long lifespan. Did you find this article helpful? Then kindly share it with your friends, also drop your comment below.